New Delhi, FEB27: India says Pakistan Air Force's F-16 that violated Indian air space was shot down in Indian retaliatory fire 3 km within Pakistan territory in Lam valley, Nowshera sector, reports news agency ANI. A parachute seen as Pakistan Air Force's F-16 was going down, the condition of the pilot is unknown. To bring you up to speed, Pakistani fighter jets on Wednesday violated Indian air space in Jammu and Kashmir's Poonch and Nowshera sectors but were pushed back by Indian aircraft, senior officials said. "The jets entered Indian air space over Nowshera and Poonch sectors this morning," officials said. Pakistan said that its jets crossed the Line of Control to undertake strikes in India for "self-defense". 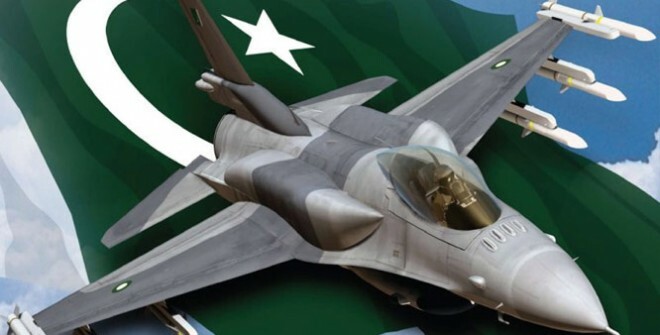 Pakistan Foreign Office said in a statement, "Today, Pakistan Air Force undertook strikes across Line of Control from within Pakistani airspace. This was not retaliation to continued Indian belligerence. Pakistan has, therefore, taken strikes at the nonmilitary target, avoiding human loss and collateral damage. The sole purpose is to demonstrate our right, will, and capability for self-defense. We have no intention of escalation but are fully prepared to do so if forced into that paradigm. "That is why we undertook the action with the clear warning and in broad daylight. For the last few years, India has been trying to establish what they call 'a new normal' a thinly veiled term for doing acts of aggression at whatever pretext they wish on a given day.